On March 25, the US Supreme Court will hear oral arguments in the historic Sebelius v. Hobby Lobby and Conestoga Wood v. Sebelius cases which challenge the Obama Administration's HHS Mandate, and the Stand Up Rally Coalition will be there. These two cases could overturn Obama's HHS Mandate—the very victory we've been seeking since 2012! Join us for a prayer vigil and rally at the Supreme Court (Map) from 9:30 to 11:30 a.m. on March 25. Look for the huge "Stand Up for Religious Freedom" banner. We will provide signs, or you can make your own to welcome the Greens and the Hahns as they enter the Supreme Court. But if you can't make it, please spread the word to friends or family in the D.C. area. Encourage them to make every effort to join this prayer vigil and rally for religious freedom. E-Mail: Use this sample e-mail (or if you're a Stand Up Rally Captains use the Rally Captains sample email) to alert all your e-mail contacts about these cases and the rally for religious freedom at the Supreme Court. 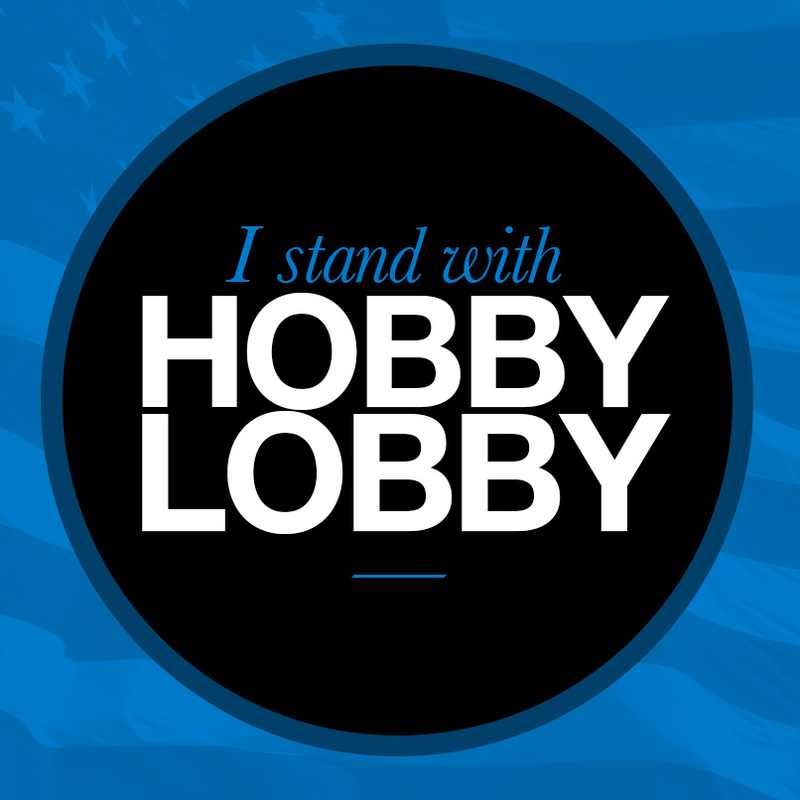 Change your profile picture to the "I Stand with Hobby Lobby" image you can see to the right. Twitter: Get on Twitter and use the hashtag #ReligiousFreedomForAll, and participate in our TweetStorm 10-11 a.m. on March 25th when the oral arguments will actually be presented. This is the most important case yet in the battle over Obama's HHS Mandate. Please do your part today to help promote the rally effort and defend our cherished religious freedom! Posted in Court Battles, Rally Locations. Follow any responses to this entry through the RSS 2.0 feed. You can leave a response, or trackback from your own site.